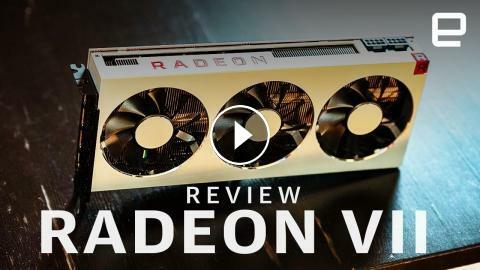 ﻿ AMD Radeon VII Review: 4K gaming, but is that enough? The Radeon VII is AMD's new flagship gaming card. It's the first gaming GPU to be made with a 7nm process, which let's it run faster and pack in more memory. We tested the Radeon VII and it's certainly fast, but is it fast enough to compete with NVIDIA's RTX cards? AMD's New RX Radeon VII - NVIDIA RTX 2080 Killer? MSI Radeon R9 290X Lightning Unboxing & First Look! First Look: AMD RADEON R9 290X - "The Most Powerful GPU Yet"
Radeon EPYC Project 47- AMD Goes To HOLLYWOOD!